Single-walled corrugated cartons are a universal format of packaging worldwide. 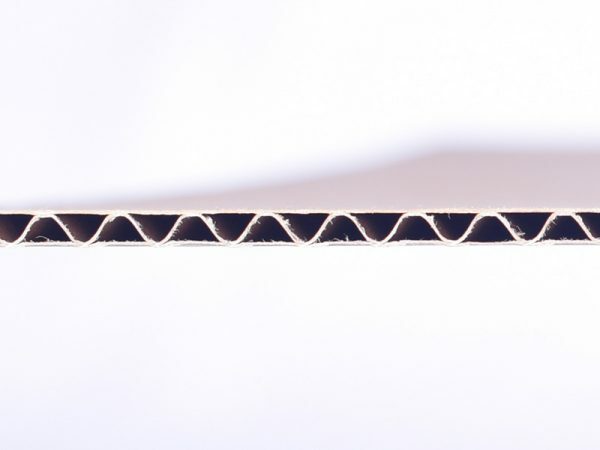 Roughly 90 % of the corrugated carton boxes are single wall. This carton format is popular because it provides a balance between packaging resilience and weight. Recommended for stylish and prestigious box cartons. Ideal for lightweight items Used in our existing products: pizza boxes, gifts boxes, shelf ready packages Presentation: Thin-edged and compact. Thickness: 1.5mm Ideal box-format: small-sized die-cut containers and Regular Slotted Cartons (RSC). Recommended for sturdy protection of enclosed products. B-Flute cartons are versatile. Ideal for lightweight loads below 12kg: a favourite of the food industry Presentation: Regular spacing between single-liner walls and fluting, which increases shock absorption. Thickness: 2.5mm Ideal box-format: small to medium-sized die-cut containers and Regular Slotted Cartons (RSC).